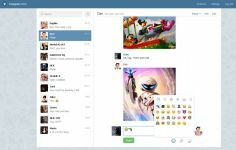 Telegram is a fast and reliable instant messaging solution, just as its name origin suggests, helping you to send messages to your friends ot family. 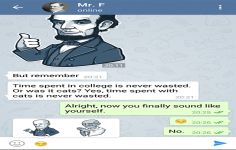 Being based on MTP Protocol, it allows you to create and send messages, share videos up to 1GB size, send multiple photos, forward any media file instantly, all your messages being held in the cloud so you can easily access them from any device that are connected (computer, Mac or Linux, mobile devices – Android, iOS or Windows Phone). 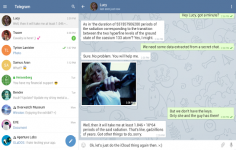 Telegram also offers security for your sending messages, allowing you to send protected message encryption,and also to send self-destructible messages fast and free. You can communicate with up to 200 people in a group conversation.